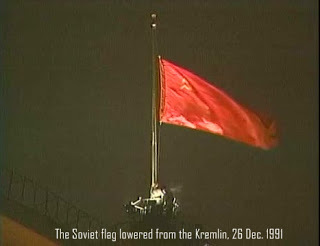 It was December 26, 1991 – 25 years ago – when the red flag with the sickle and hammer was lowered from the Moscow Kremlin. It was then, during the cold days of December, when the first socialist state of the world, the homeland of the world’s proletariat, bent under the weight of the counterrevolution. Four days before, on December 22nd, the leaderships of three of the largest Soviet republics had decided the dissolution of the USSR, while the Communist Party of the Soviet Union had been outlawed in the summer of the same year. The events of December 1991 sealed the victory of the counterrevolution, as the result of a process which officially began in 1985 with perestroika and reached its peak in 1989 with the overthrow of socialism. Of course, the roots of the counterrevolution can be traced back in a series of revisionist-opportunist decisions taken at the CPSU’s 20th Congress back in 1956. In 1991, the homeland of the heroic Bolsheviks, the homeland of Lenin and Stalin, the homeland of General Zhukov, of Yuri Gagarin and Dmitri Shostakovich, the homeland of the Soviet people became loot in the hands of the Russian bourgeoisie, of the oligarchs who emerged from the leadership of perestroika. Even the opinion of the Soviet people (in the referendum of March 17, 1991, 76% of the voters supported the existence of the USSR) had been ignored by the perpetrators of the counterrevolution. 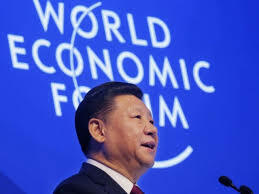 “The Soviet red flag is no longer waving in the domes of the Kremlin. Its lowering sealed in a dramatic and symbolical way the end of the 74-year old course of the first socialist state in the world. For a moment the clocks indicators remained motionless, marking the critical moment. The hearts of many million workers in all over the world stopped beating, weighted down by the magnitude of the loss.” Rizospastis daily (KKE newspaper), 28 December 1991. The immense social achievements of the USSR were succeeded by illusory promises by the new capitalist Russian government for- supposedly – more democracy, for more social freedoms and for a free-market economy which would improve the people’s lives. The so-called “shock therapy”, which included several policies of economic liberalisation during the 90s, had multiple negative effects in people’s lives: rapid increase of social inequalities, destruction of the socialist welfare state, extreme increase of poverty for the working class, decrease of the life expectancy rate, resurgence of nationalist claims between former Soviet republics and the emergence of economic oligarchs as actual rulers of the new capitalist Russian state. Twenty-five years after the counterrevolution in the USSR, the majority of the Russian people – especially the older generations – think that life under socialism was better. The restoration of capitalism brought an unprecedented barbarism in almost every sector of public life; a barbarism which benefited the few and aggravated the situation for the majority. 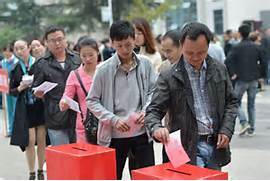 On March 2016, a survey conducted by the All-Russia Public Opinion Center (VTsIOM) showed that more than half of Russians (64%) would vote to maintain the Soviet Union if a referendum were held today. This figure increases from 47% among those 18-24 to 76% among respondents age 60 and more. During the same period (March 2016), a similar survey by the Levada Center Survey in Russia showed that more than half (56%) of the Russians regret the collapse of the USSR and 58% of the survey’s participants would welcome the revival of the socialist system. Back in 2013, a survey by the Russia’s Public Opinion Foundation (FOM) , showed that 60% of Russians think that the life in the Soviet Union had more positive than negative aspects. The same kind of nostalgia for the USSR exists also in other former Soviet republics, like Armenia, Kyrgyzstan, Tajikistan etc, where the policies of monopoly capitalism have swept away any social privileges achieved by the working class people during Socialism. The various apologists of capitalism, who advocated the concept of the “end of history” in the beginning of the 90s, have already been refuted. Despite the fact that the counterrevolutionary events in the USSR and Eastern Europe significantly worsened the correlation of forces internationally, it becomes clear that socialism is timely and necessary. The impasses of rotten capitalism, which creates crises, poverty, unemployment, misery and wars, consist a solid proof that nothing has ended. 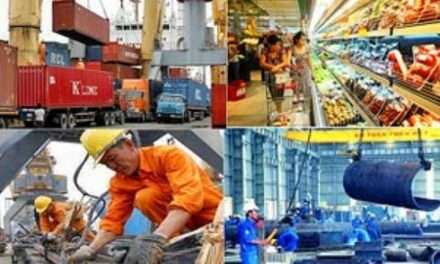 The people, the working class in all over the world must organize their counter-attack, to strengthen the bastions of resistance against capitalist exploitation and imperialist barbarity and create the preconditions for the ultimate victory of socialism. The red flag, with sickle and hammer, will rise again. Nikos Mottas is the Editor-in-Chief of In Defense of Communism, a PhD candidate in Political Science, International Relations and Political History.